airports in the central part of New Mexico. in Santa Fe. We want our clients to feel comfortable and stress free, and strive to provide a much needed respite from your busy travel schedule. Whether you are traveling with a group, or by yourself, we are on call 24/7 for safe dependable luxury limousine service to the airports in Santa Fe and Albuquerque. For the ultimate in Albuquerque and Santa Fe airport shuttle service or airport transfer service, whether you ride in one of our comfortable sedans or SUVs or with your group in one of our comfortable Sprinter Executive Vans, we keep your comfort in mind every time. 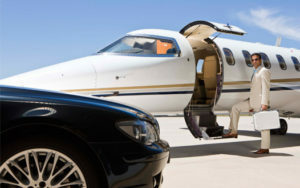 WTM also provides private aviation transportation services to those passengers wishing to travel non-commercial flights in the Santa Fe, Albuquerque and Taos area through our exclusive affiliate network.